Wolf Commercial Real Estate (WCRE), a leading South Jersey commercial real estate brokerage firm that specializes in Cherry Hill commercial real estate, is offering premier Southern New Jersey retail space for lease at 600 North Kings Highway in Cherry Hill NJ. 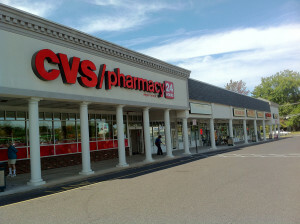 This South Jersey retail property for lease is located in the CVS Plaza at 600 North Kings Highway in Cherry Hill NJ. There is a +/- 1,600 square-foot end cap and a +/- 3,200 square-foot inline store available at this Southern New Jersey retail space for lease. This Cherry Hill retail space for lease from WCRE, a Southern New Jersey commercial real estate broker, is available for immediate occupancy. The asking lease price for this retail space in 08034 is $15.00 per square foot NNN. There is abundant parking at this Southern New Jersey retail property for lease at 6.4/1000 sf. This South Jersey retail space for lease at 600 North Kings Highway is in a contemporary neighborhood strip center that is anchored by a CVS pharmacy. In addition, this Southern New Jersey retail space for lease sits at the signalized intersection of Chapel Avenue and North Kings Highway, providing convenient access to Routes 38, 70, 73, I-295 and the New Jersey Turnpike. An average of more than 26,000 vehicles a day drive by this South Jersey retail property for lease at 600 North Kings Highway by Wolf Commercial Real Estate, a premier South Jersey commercial real estate broker that specializes in Cherry Hill commercial real estate listings. There are nearly 89,000 residents living within a three-mile radius of this Cherry Hill retail space for lease at 600 North Kings Highway. For more information about this Southern New Jersey retail property for lease at 600 North Kings Highway in Cherry Hill NJ, about other retail space in 08034, or about any other Southern New Jersey commercial real estate listings, please contact Jason Wolf (856-857-6301; jason.wolf@wolfcre.com) at Wolf Commercial Real Estate, a leading Southern New Jersey commercial real estate brokerage firm. As real estate brokerage and advisory experts in Southern New Jersey that specialize in Cherry Hill commercial real estate, the team at our South Jersey commercial real estate brokerage firm provides ongoing detailed information to our clients and prospects to help them achieve their real estate goals. At WCRE, our South Jersey commercial real estate services encompass the highest quality of service, proven expertise, and a total commitment to client-focused relationships. Learn more about WCRE, a Southern New Jersey commercial real estate brokerage firm that specializes in Cherry Hill commercial real estate listings, online at www.wolfcre.com, on Twitter @WCRE1, LinkedIn and on Facebook at Wolf Commercial Real Estate, LLC. Visit our blog pages at: www.southjerseyofficespace.com <http://www.southjerseyofficespace.com/>, www.southjerseymedicalspace.com http://www.southjerseymedicalspace.com/, www.southjerseyland.com http://www.southjerseyland.com/, www.southjerseyretailspace.com <http://www.southjerseyretailspace.com/> and www.southjerseyindustrialspace.com http://www.southjerseyindustrialspace.com/. WCRE is a leading Southern New Jersey commercial real estate broker that provides a full range of South Jersey commercial real estate services, marketing commercial offices, medical properties, industrial properties, land properties and retail buildings for buyers, tenants, investors and sellers. Please visit our websites for listings of South Jersey retail space for lease or sale and other Southern New Jersey commercial real estate listings or for information about South Jersey commercial real estate services for office space, retail space, medical space, industrial space or land for sale or lease from this South Jersey commercial real estate broker.